GDC could be a big deal for PC enthusiasts. 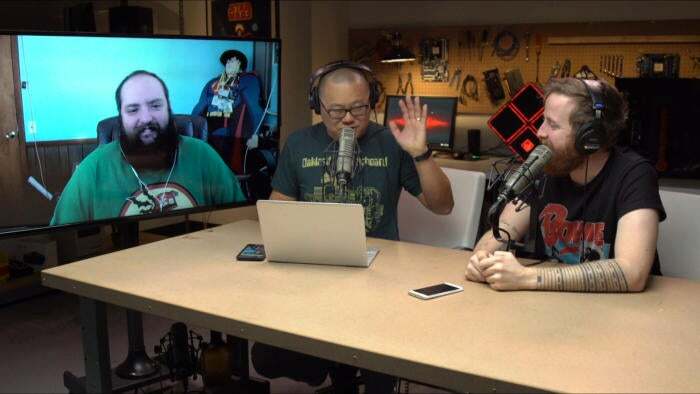 In this week’s The Full Nerd, Gordon Mah Ung, Brad Chacos, Hayden Dingman, and Adam Patrick Murray talk about AMD and Nvidia’s dueling GDC events and—whether it means we’ll be seeing Radeon Vega vs. GeForce GTX 1080 Ti or not. Also, with the window fast approaching for AMD’s long awaited Ryzen, the crew goes Full Nerd on the the latest Ryzen price and performance rumors, digging into what it means for gamers, enthusiasts, and cheapskates. Gordon also compares the latest alleged Ryzen benchmarks directly against Intel’s best chips. Finally, gaming guru Hayden Dingman gives us a breakdown of what to expect at this year’s Game Developers Conference before we answer your burning questions about PC hardware. Watch the Full Nerd Episode 17 on YouTube right here, or just click the play button below. If you prefer just the audio, you can also listen to the Full Nerd on Soundcloud. To find previous episodes of The Full Nerd, go here, or visit our SoundCloud page for the audio edition. Have a PC- or gaming-related question? Email thefullnerd@pcworld.com and we’ll try to answer it in the next episode, or follow PCWorld on Facebook or YouTube to watch our show live and pick our brains in real time. Again, you can always send us feedback about anything you hear on the show.